Achtung! Laibach, the spectre that has haunted Europe and beyond since 1980, has returned to continue its interrogations. Seven years have passed since Laibach’s last onslaught. What have Laibach been doing?! 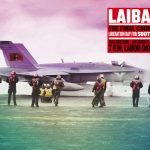 – What has the world been doing in Laibach’s absence? Laibach have a number of concerns about the world’s mission. As time and the world accelerate, Laibach freeze and reverse time at will, dropping out of the flow and re-appearing at will, seizing time in order to discard it. During their seven year silence the millennium bug came and went but so did the dot.com utopia – the rising of the century did not bring salvation and the mask of normality has slipped. The desert burns, countries vanish, Mir has crashed back to earth and all the while the Laibach monolith has been silent, lurking at the heart of the culture industry, waiting for reality to catch up with its predictions. Silence. Now LAIBACH begin to transmit once more. Swift in thought and action, like a flash of lightning, the swoop of the eagle, the flight of the arrow, the sparkling of phosphorescence on rippling water. All things that move with speed are with them. On WAT Laibach accelerate once more, fuelled by the contradictions and controversies of a 23-year history, dragging audiences into their own temporal zone, conjuring up the normally hidden forces supporting the regimes that govern our reality. Laibach suspend the visibly disintegrating global rule of “business as usual”. 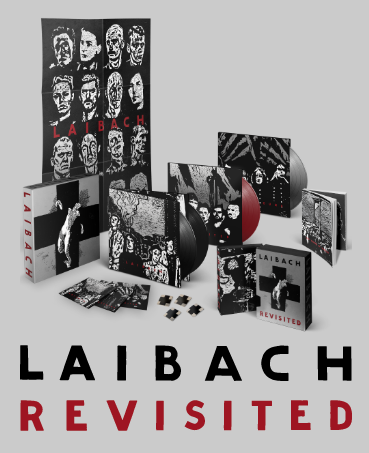 Nothing and no one is spared interrogation by Laibach and the effects of its interventions are irreversible. WAT interrogates both Laibach’s own history and the desires and projections of its audiences. Laibach shun the crowd-pleasing nostalgia of most long-running groups and the passing years hold no terror for them. WAT puts the fans to the test again by discarding the now familiar style of previous album Jesus Christ Superstars. 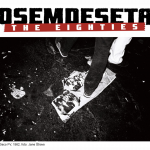 WAT is a new stylistic departure, moving into the digital zeitgeist. 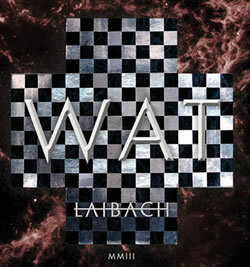 Sleeker, more minimal but as direct and aggressive as ever, WAT intensifies Laibach’s analysis of the traumatic relationships between music and power, art and ideology, life and death. 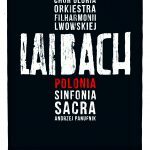 Whatever the style, the paradoxes and contradictions of Laibach incite and frustrate enjoyment – this is no ordinary pop group. Listeners have to decide what tune they believe Laibach is asking them to dance to and what this means. Laibach manipulate reactionary tendencies and taunt the PC police who patrol contemporary culture. Now more than ever, Laibach have the courage to remain barbaric, manipulating Western preconceptions and fears/fantasies of invasion and contamination. 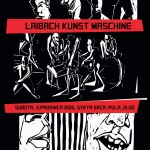 The point of WAT is not what Laibach is, or what it wants, but what you are and where you stand – “Ask not what Laibach can do for you, ask what you can do for Laibach.” Accept or reject, condemn or embrace, fans, critics and enemies alike are caught in the Laibach wheel.